Provides business news and technology solutions to readers in the optics, lasers, imaging, fiber optics, electro-optics and photonic component manufacturing. Select title Mr. Mrs. Ms. Dr. Prof.
Do you wish to receive a FREE subscription to Photonics Spectra? How would you like to receive your magazines? Please indicate the primary end product or service of your company at this location. In lieu of a signature, the publisher requires a unique identifier used only for subscription verification purposes. What is the day of the month you were born? 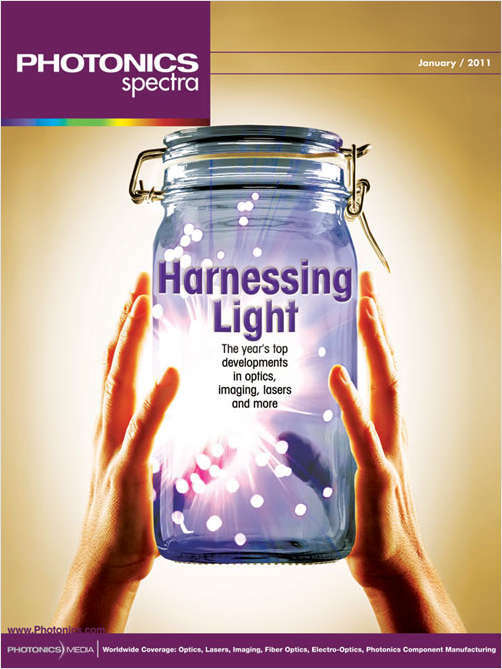 Photonics Buyers' Guide As part of my subscription, I would also like to receive the Photonics Buyers' Guide, an annual publication listing 4000+ photonics manufacturers and suppliers in 1600+ product and service categories (limited quantities available).